Our farm is undergoing a facelift. 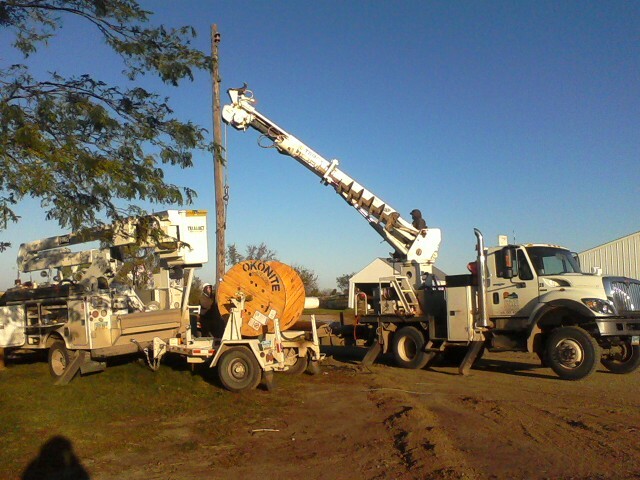 And it’s all due to the hard work of our electric cooperative, Dakota Valley Electric. After this summer’s storm and issues that we had last spring with deer and such, Boss Man and I decided to make some changes around the farm. One of the biggest cosmetic changes is the switching over from overhead power lines to underground. I didn’t think it would be that big of a change, really. I mean, as far as cosmetics go. (I completely understand the amount of work and time it takes to actually achieve the goal!) But I was wrong. So, aside from no longer worrying about the wind snapping off a line in our yard (it happened), or ice building up, or having to farm and mow around polls, it’s all gone. It’ll take me a little while to get used to the look. I step outside and feel like something’s missing. But it’s a great change, and one that I’m glad we went through with. 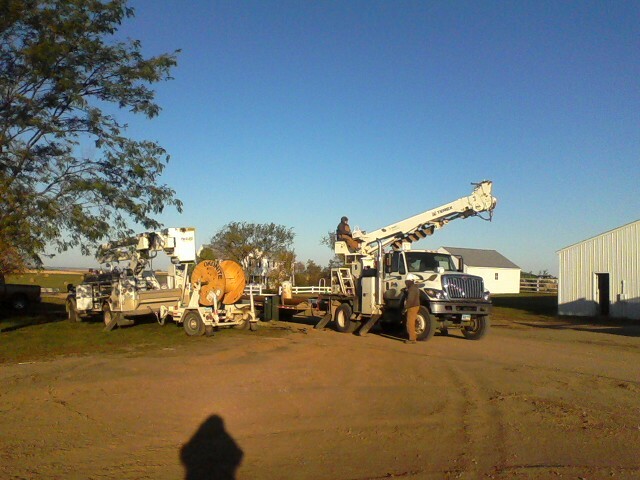 So, thank you Dakota Valley Electric and those involved in the switch over. It was fast, problem-free (at least from my point of view) and a great new step for our farm. Thank you! This entry was posted in farm fun, Farm life, Thankful Thursday and tagged Dakota Valley Electric, electricity, farm life, life on the farm, underground wires by wagfarms. Bookmark the permalink.